Cannabis policies in the Netherlands, what went wrong? The last major change in Dutch drug policy was in 1976, when new legislation established a distinction between soft and hard drugs, and decriminalised possession and sales of small amounts of cannabis by and to adults. At first cannabis only became available on special occasions and in popular youth centres like Paradiso and the Milky Way in Amsterdam. Later, cannabis promotors understood that the new legislation allowed for the sales of small quantities for personal use in café-like places: the “coffeeshops” emerged. In the course of the years the government installed a system of regulation, with most of the day to day decisions taken by local authorities, nicknamed the Triangle: mayor, district attorney and chief of police. Since then, hundreds of coffeeshops came into existence and did good business. In the early years after 1976, it gradually became clear that although the use of cannabis increased, it remained near to or below the EU average, which also increased. During the last ten years, however, the political climate gradually changed to a stricter prohibitionist approach. 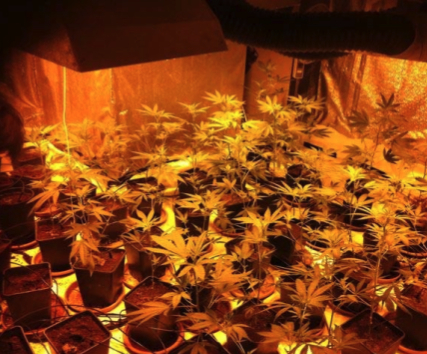 Successive governments strongly increased and hardened the enforcement of the ban on growing cannabis, which had been loosened somewhat when the policy was still directed at normalisation, to allow supply to the coffeeshops. On the moment this is written, the Dutch government is preparing a range of measures that will make the functioning of the coffeeshops more difficult. Coffeeshops must be turned into closed clubs with less than 2000 members, and be open only to Dutch and foreign citizens living in the Netherlands. Only customers provided with a club-pass will be allowed in. The distance between coffeeshops and schools will be enlarged to 350 m. And finally, cannabis with a higher content of THC than 15% will be considered a hard drug, which means that the ‘gedoogbeleid’, policy of toleration, no longer applies. These measures which can only render the management of coffeeshops more difficult, and eventually impossible. One of the governing parties, the Christian Democratic party, openly says its long term objective is to close the coffeeshops, whereas the larger conservative liberal party VVD is unclear about its final objectives. It claims only to want to restore security and to prevent nuisance from foreign visitors to coffeeshops. The populist, anti-immigration and anti-Islam party PVV, led by Geert Wilders, is in favour of a harder approach, even when the leader of the first populist Dutch party, the murdered Pim Fortuyn, has always been completely open about his conviction that all drugs must be legally regulated. The one big difference between the Netherlands and the rest of the world still remains, allowing sales of small amounts of cannabis to adults, without risk of juridical problems for the buyers. For the rest, Dutch drug policy has been largely similar to that of other EU countries, which includes an early embrace of Harm Reduction policies. 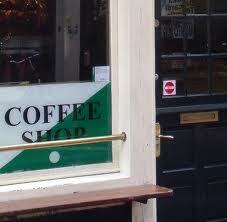 Since the start of the coffeeshop-experiment, NL has encountered a series of international attacks on this policy. These criticisms came from individual countries, and never resulted in a concerted and well founded action within the United Nations or the European Union, not even when the INCB regularly and stereotypically criticized Dutch cannabis policy in their yearly reports. Supporters of Dutch cannabis policy interpreted this as a consequence of the positive statistics about use levels of cannabis and other drugs in the Netherlands, and of the absence of arguments for stricter application of prohibition. The fact that since 1976, the level of use of cannabis in the Netherlands has risen in a similar way as in the surrounding countries (see the yearly reports of the EMCDDA, of the Netherlands Trimbos Institute, of the EC Report Reuter-Trautmann) should have been interpreted as evidence that the complete prohibition that still was strictly enforced almost everywhere else, has not led to lower levels of use, and consequently, is not necessary. Already around 1995, the Netherlands could – and should – have argued at the UN and the EU, with the support of many years of statistical data, that the levels of use, abuse, and problematic use of cannabis in the Netherlands remained fairly constant at the average level of the EU. This should have led to a review of the international drug conventions, because their basic assumption, that prohibition is necessary to protect public and individual health from drugs, had been falsified by the Dutch experience with the coffeeshops. Successive Dutch governments have not dared to take that path, but instead, asked the EU member states half-heartedly whether they had an interest to follow the Dutch coffeeshops-example. To this the unsurprising reactions were either silence or “No interest”. Very gradually, the situation worsened, not with respect to public health, but in two other areas. In the Dutch border regions considerable tourism has arisen, not only from Belgium and Germany but also from countries farther away, France, Italy and others. The resulting nuisance however needed not necessarily to be seen as a reason for measures restricting the access to coffeeshops by foreigners. It can successfully be managed by practical measures such as have been taken by the city of Venlo on the German border, where two coffeeshops were transferred to a deserted parking lot for trucks, close to the border and to the Autobahn from the heavily populated Ruhr area. The second problem area is cannabis production which remained illegal after the decriminalisation reform of 1976. Since 2000 the government has increased and hardened the enforcement of the – still existing – ban on growing cannabis, under the pretense that most of this was meant for export and not for our own coffeeshops. Only estimates were available for this claim, which started to have a life of its own. In the media there was more attention for the increasing criminality on the cannabis growth market, and less efforts to explain that this was a direct consequence of the official decision to crack down on the supply side. One of the interesting aspects of decriminalisation is that few problems need to arise when the supply side is left in peace. This can even be seen in the famous American TV series ‘The Wire’ about the drug market in Baltimore. When the justice system is not agressively trying to “fight” or “tackle” drugs, the grey/black market can smoothly perform its function: the production and distribution of cannabis, only without the guarantees for quality that should be required. However, an unavoidable and ultimately seriously problematic aspect of a policy that is limited to decriminalising possession for personal use is that everything else remains illegal. This means that large amounts of money are made in the growth and retail businesses that operate in the grey/black area. When the Dutch government gradually increased and hardened its enforcement policy, this set in motion a concurring hardening and professionalisation of the supply side. The result is not that less cannabis is available, but that more serious violence and other criminality occurs, which now is taken up as arguments for a harder policy. The lesson is that decriminalisation can be useful for the short term, in the first phase of a transition to full legal regulation. The time span this gives can be used constructively for devising the necessary regulations without producing new and unnecessary problems. When decriminalisation stays on for too long, and is not logically converted into legal regulation of the complete cannabis market, the illegality of the supply side will cause serious problems that will threaten the whole system and lead to a return to the pre-Harm Reduction era. This was already mentioned in the Canadian Report of the Senate Special Committee on Illegal Drugs “Cannabis: Our Position for a Canadian Public Policy” published in 2002. By its thorough investigation the Senate Committee gained the understanding that decriminalisation (also named depenalisation) is not preferable to legal regulation, because decriminalisation combines the disadvantages of both systems. The Dutch experience confirms this position, especially in the long run. We still hope that reason will return to our politicians, so they will finally arrange for a legally regulated cannabis market.